Scotland coach Gordon Strachan can be heard by Leeds fans before they have a chance to see him in the flesh again, when he graces the studios of BBC Radio Leeds this evening at 6:00 pm. It’s expected that the one-time Whites skipper, a pivotal figure in the club’s success story of the late eighties and early nineties, will be talking about his Leeds career and memories – as well as his current responsibilities with the Scottish national team, who meet Auld Enemy England in a World Cup qualifier shortly. The radio feature will be backed by a splash article in the Yorkshire Evening Post over the next few days. Strachan’s return to Elland Road, at an evening dinner organised by Events in the City for the evening of November 4th, is being seen as an exciting prospect for those with memories of the glory days of Sergeant Wilko, Lee Chapman, the late Gary Speed, Strachan himself, and the rest. United won promotion back to the old First Division after eight years in the wilderness, and were Champions of England only two short years later. As achievements go, that’s hard to beat for any club – and even at Leeds, it’s a period outshone only by Don Revie‘s team of all talents. United fans would do well to listen to Radio Leeds tonight, as well as making sure they catch the YEP article when that appears. 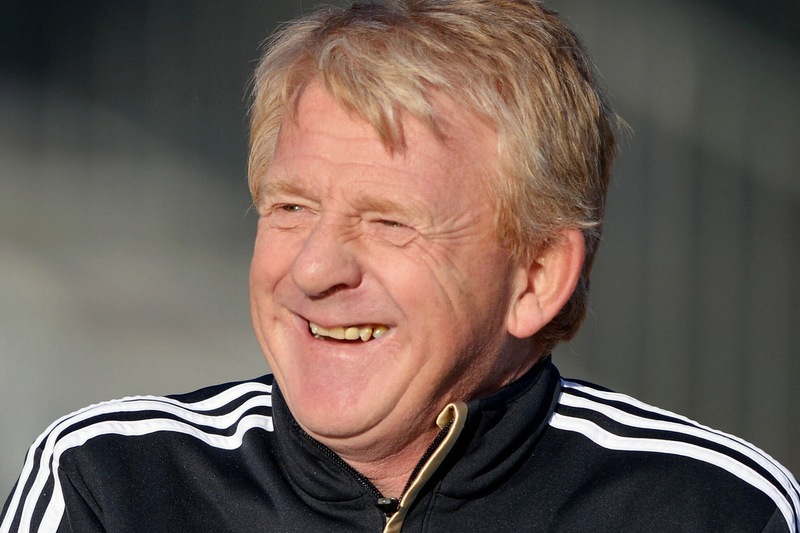 Strachan is always good value, with his forthright views, biting wit and of course his memories of the major role he played in Wilko’s United revolution. Tickets for the Evening With Gordon Strachan event are still available at £55 each, to include a three course meal and a full programme of entertainment. A table for ten can be booked for £500 to see in person a man who has rightly gone down in United history as one of the club’s true heroes. One real caveat to this article. The recurring “David Moyes for Leeds” stories are mainly appearing in that part of the press more suited to the facilitation of post-excretory hygiene than any real attempts to inform or even entertain. Ever since it started to look likely that Steve Evans might be the right man at the right time for Leeds United, the doggedly Whites-hating sector of the Fourth Estate have been engaging in their usual distracting habits. Talking up a replacement manager who has flopped in his last two posts is one part of that (attempting to tap up Lewis Cook on behalf of a minor manchester club would be another). So, on the one hand, it’s quite possibly not true, falling into the “unhelpful and unsettling negative Leeds United rumours” category so beloved of our more tawdry hacks. On the other hand (like the irritating Lewis Cook thing), there just might be an element of truth hidden somewhere within the ever-present clouds of speculation and wishful thinking. And, if that’s the case, then it shouldn’t only be present incumbent Evans who might be more than a little angry. For a start, it’s clear that the vehicle for this Moyes story is a putative takeover, or major investment, by Leeds fan and business mogul Steve Parkin. That worthy is said to have identified Moyes as his preferred head coach, regardless of the fact we have a manager in situ. Now, I’m not privy to the inner workings of Parkin’s mind – but presumably he’s got something about him to have amassed a supposed £200m personal fortune (on the other hand, look at the none-too-bright Alan Sugar). You really might expect, though, that a man and fan, who is contemplating such major changes at the club he loves, might wish to play his cards a little closer to his chest. And he might, perhaps, be looking at making a welcome difference after the craziness of the Cellino regime – rather than perpetuating il Duce’s “hire and fire” vicious downward spiral into chaos. It’s also becoming steadily more apparent that Evans is settling in well at Elland Road, putting his stamp on the place and making that difference we all so want to see on the pitch. He’s promised winning football and, an awful lapse against Blackburn apart, he’s doing fine. The fans have, by and large, cottoned on to this, despite initial reservations arising out of Evans’ abrasive reputation – as well as that sombrero. Given all of the above, it would seem that the case for yet another change at the helm of team matters is hardly made. And yet still, this unwelcome chat goes on. It’s hardly conducive to the stability we yearn for, having so sadly lacked that vital commodity of late. All of which leads me at last to the point of this article (yes, there was always going to be a point, sooner or later). Having established that it’s by no means certain the Moyes link is anything more than a Wapping great lie, we are nevertheless forced to consider the ramifications in the event of there being any truth in it. And, surely, if David Moyes is talking to a Leeds United-connected party about a job that is currently amply filled, then he would be open to some criticism under professional standards established within the managerial game for some time past. Over the last couple of decades or so, there have been laudable attempts by the League Managers Association (LMA) to clean up the act of their collective members, certainly in terms of a set of standards to be applied in the matter of how club posts become vacant and are filled. Our own Howard Wilkinson was in on the ground floor of this, as he was with so much else, and a lot of the more enlightened policy-making over the recent past has carried his unmistakable brand of common sense and integrity. One of the examples of bad practice thereafter distinctly frowned upon was an unfortunate tendency for currently-filled managerial posts to be bruited about as if available, regardless of the feelings and morale of the poor sap actually doing the job, with prospective candidates for these posts encouraging – or at least not discouraging – such speculation. Nowadays, with the LMA keeping a beady eye on things, there is a more civilised feeling about the whole thing. Managers linked with jobs currently being undertaken by some poor, under-fire soul will tend to refuse to comment on speculation surrounding those posts. As a past and prospective member of the managerial fraternity in England, Moyes will surely be aware of the current conventions. As he can’t be unaware of his name being linked in the press with a post-takeover position at Leeds United, could he not perhaps have made it known that he’s refusing to be a party to such speculation as there has been a manager recently appointed at Elland Road? A dignified silence, after all, only takes you so far – and can be interpreted in more than one way. By his failure to distance himself from the Parkin/Leeds scenario, Moyes is hardly doing Steve Evans any favours. And, if the LMA are to have any bite or credibility at all, shouldn’t they themselves be all over this situation like a cheap suit? It’s the LMA’s responsibility to ensure fair play, professional standards and “To encourage honourable practice, conduct and courtesy in all professional activity” (LMA Major Aims #6). They too will be aware of a rising tide of speculation to the detriment of a fellow member who has been in his job only a few weeks. Why don’t they say or do something about it? The silence from all parties on this matter, while the press engage happily in their damaging and irresponsible speculation, is ominous. I’ve blogged recently about there being no current need to do anything other than stick with the man in charge for the foreseeable future. With Massimo Cellino in yet another froth of confusion about whether he’s selling up, fighting his ban or (like some Schrödinger’s Tycoon) both simultaneously – we might expect that his attention will currently be elsewhere and Evans can perhaps be left to get on with the job he’s admirably doing. It would seem that the clearest and most present danger to Evans’ tenure is in the form of a man outside of the club, currently out of work, and with only startling failures in his last two posts to recommend him. It remains quite possible that all of this speculation is based upon nothing more than the old press habit of adding two and two to reach a total of five. But, if there is anything in it, then it’s time somebody acted to nip it in the bud – at least until such time as there might be an actual vacancy (heaven forfend). I’m reasonably sure I speak for a majority of Leeds fans when I say that we’d prefer the historically successful Steve Evans to continue trying to repeat that success in LS11 – rather than a serial failure in Moyes. But who listens to the fans? So it would be rather reassuring if the LMA could show some minerals, or Moyes himself some trace of professional courtesy and honour – and just utter a few pointed words to end the matter, so we can all move on to the next crisis. And worry not, “gentlemen” of the press – at Leeds United, that next crisis is never very far away. The unseen benefit of the scattergun, hire ’em and fire ’em recruitment approach adopted by Leeds United since the takeover of il Duce Cellino, is that at some point, unwittingly, you’re probably going to stumble haphazardly upon the right man for the job. And one of the obvious drawbacks of such an amateurish policy is that you’re all too likely then to dismiss him, either in a fit of Latin pique, or because you’ve been replaced by new owners who want their own man. The evidence of the first few weeks of the Steve Evans era at Elland Road would seem to suggest that United have, for once in a very long while, got a square peg for their square hole. Having been lucky enough to do that, Leeds must not now, under whatever ownership, retreat back into their accustomed suicidal self-destruct mode – and dispense with a man and manager who might just be the best fit our maverick club could possibly wish or hope for. The Steve Evans track record speaks for itself in both the best and worst of times. His human fallibility is evident from a brush with the law earlier in his career – but lessons learned from negative episodes in life can be instructive in the making of a highly effective professional. And it is this image that emerges from the Evans record of achievement at his previous clubs. It is an enviable record of unprecedented success at those clubs, by virtue of what the man himself succinctly refers to as “winning football”. He has no need or desire to elaborate on that two-word summary. He simply promises the fans just that – winning football. He knows and we know that everything good will flow from that. The complexity and effect of the man is emerging little by little as a picture Leeds United fans have been wanting to behold for many, many years. There are echoes of the early Sergeant Wilko in the way Evans has breezed into the club with no fear on his own account, and the clear intention of doing things his way. Though not afraid himself, he appears to rule partly through fear – and partly by employing the encouraging “arm around the shoulder” approach. We hear that he can hand out rollickings to those who need it, as well as boosting those in need of a boost. It’s not rocket science – just horses-for-courses man-management, the type of thing that has produced results for the enlightened since time immemorial. The proof of the pudding, though, will be in the eating – but early indications are that certain Leeds United players, who had been under-performing, are now walking about with a new spring in their step. Long may that continue. The danger now apparent is of yet another change; this one unwanted, unnecessary and foolish, with talk in various sections of the media that any possible new owner – a prospect widely perceived among Leeds fans as A Good Thing – could bring with him a change of manager, with Pride of Devon flop David Moyes touted as a likely contender for a job that really should be flagged up as unavailable. It may of course be that this is largely the not exactly Leeds-loving media being their usual mischievous and unhelpful selves. We can but hope. What we have here is not yet a recovery, nor yet even a definite upward swing in the fortunes of our beloved Leeds United. The general stability of the club is far too fragile to make extravagant claims like that. But what we do seem to have are tentative green shoots emerging from what has too long been an arid desert of hopelessness. Little buds of confidence are emerging that just might flourish and bloom into full-on optimism – given the chance. Everywhere I’ve looked in the virtual world of Leeds United lately, I’ve seen surprised, almost bemused comments along the lines of “this bloke is really growing on me!” about our new manager. And one of the most noticeable things about Steve Evans is that he openly lays claim to that title. Leeds United manager – there’s a ring to it which the half-baked “head coach” thing lacks. It’s as if Evans knows he has ventured into shark-infested waters, and that he’ll have to be brave, bold and confident if he’s to succeed. He’s certainly making all the right noises, so far. In Steve Evans – a man who swiftly acknowledged that he wouldn’t have been the first choice among Leeds fans (adding that he doubted he’d have been in the top ten) – we may just have the ideal candidate for the next holder of the Mr. Leeds United accolade. Steve Evans genuinely could be Mr. Leeds United, in a manner akin to earlier greats like Wilko, or even the as yet incomparable Don Revie. 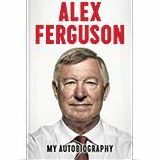 He reflects the club as those legends did – unprepossessing to outsiders, with a tendency to inspire fear and dislike among enemies. But there’s a steely determination there also, an unshakeable belief in his own ability that is likewise redolent of Leeds at its very best. That extra spring in the step of some of the young stars, those early results as they start to pick up – they’re down to that brash, ebullient presence rocking around the corridors of Elland Road and Thorp Arch. There seems little doubt of that. I had my doubts too, at the start, though I was mainly preoccupied with being dismayed at yet another abrupt change of management. I heard of Steve Evans discussing his appointment to take over with no great enthusiasm. But first impressions are rarely all that reliable, and I’ve never been so thrilled to have it demonstrated to me that, like thousands of others with the colours of this club running through their veins, I have good cause to believe team affairs are at last in safe hands. And, having accepted that – by hook or by crook and more by luck than good judgement – a bona fide appointment has at long last been made, I’m now in the same position as so many other fans, of being desperately concerned that – this time – we should stick with our man and see it through. See what kind of Leeds United Steve Evans can build. Hope that he will be given the time and the tools to finish the job, as he’s so successfully done elsewhere. If, in a few weeks or months time, I’m writing another blog in bitter frustration and helpless anger, bemoaning yet more self-harming short-termism on the part of this crazy club – if, in short, Leeds United have lost their nerve yet again, and prematurely sacked yet another manager – then it’ll be with a sense of baffled despair about our club’s chances of ever making it back to the level of the game where they assuredly belong. It’s for Leeds now to stick with their man, back him through whatever high-level changes may be in the offing and try to ensure that, on the playing side of things at least, there is some stability and confidence. Those two advantages will come only with the security of a man in charge being given ample opportunity to do his job and earn success. For all our sakes, let this come to pass. And if not – why then, the fans of this club will know for sure that they are the only stable and worthwhile thing about the place. They’ll know that the club can’t be trusted or relied upon to do anything but periodically make of itself a laughing stock before lesser clubs and lesser fans. It would be the only conclusion we could possibly draw – who could really blame us? The powers that be at Leeds United (whoever they might be on any given day) had better take warning; our faith in the direction of the club can only take so many hits before it crumbles into pieces. So don’t screw this up, guys. Steve Evans has made it clear that he regards himself as privileged to be the Leeds United manager. He’s made it clear that he regards the fans as an asset unmatched elsewhere (If we played a five-a-side in Asia at three in the morning, they’d be there). Evans “gets” Leeds. He can see what the club – and the fans – are all about. You have the impression that he can sense a kinship – that he feels at home and wants beyond anything else to restore Leeds United to greater days. This blogger could listen to him talk about Leeds all day long – it makes the hairs on the back of your neck stand up. You just can’t put a price on that feeling, and – for the first time in such a long time – I and many others believe we might just have a real Leeds United manager on our hands. Someone who appeared as a match summariser on Sky Sports Saturday earlier today, and made a point of giving the Leeds salute when on camera. I could barely believe my eyes. Now, that’s a real candidate for the next Mr. Leeds United. So, for Evans’ sake – and for the sake of all of us and our turbulent love affair with football’s craziest club – let’s please see it through this time and go marching on together, back towards the top, behind a man who – given an even chance – just might make it all happen for us once again. Another Leeds United birthday to mark with an appropriate tribute for all the man did for our great club. This time it’s someone who is a contemporary of those 70-somethings who have celebrated recently – the likes of Paul Madeley, Norman Hunter, Paul Reaney and Johnny Giles – but who was never, by his own acknowledgement, anything more than mediocre as a player himself. 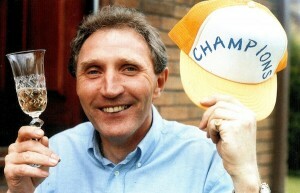 In the managerial arena though, Howard Wilkinson – 72 years old today – has outstripped virtually all of the Revie greats, winning the last ever Football League Championship, going down in history as the last Englishman to win the league in the 20th Century and masterminding the second incarnation of a winning Leeds team from a starting point remarkably similar to that which Don Revie inherited in the early sixties. Wilko’s career after his playing days ended was an upward graph of coaching success from humble beginnings, but he went on to have two stints as caretaker-manager of England, as well as spells with Sunderland, Sheffield Wednesday and Notts County. It is for his time at Leeds United, though, that he will be remembered as a football manager who walked into what had become a poisoned chalice of a job, a club with a revolving door on the manager’s office and one which had signally failed to recapture the magic of its one great period at the top of the game. Wilkinson came in with the air of a man who was going to put a stop to all the nonsense and set matters straight. Let the record show that he succeeded, beyond the wildest dreams of any Leeds fan at the time he was appointed. In TV interviews at that time, he could be seen by the side of chairman Leslie Silver, regarding his coffee cup with little enthusiasm and mildly joking that he hoped we’d be able to afford better crockery when he got us winning. Leeds were treading deep water at the bottom end of the old Second Division, and had been looking more likely to proceed downwards from that point than up; a situation uncannily similar to the one Don Revie found in 1961. Both men would be able to count on the bounteous fruits of a productive academy, though Revie felt able to blood his precocious youths somewhat earlier than Wilko could in his reign. But where Don found his Bobby Collins, so Howard was able to persuade Gordon Strachan to step down a league and be the catalyst for a revival that may not have been as enduring as Revie’s, but was arguably even more meteoric and spectacular. Wilko joined for the still fairly new 1988-89 season, and spent the rest of that campaign overhauling discipline at the club and bringing about his own type of working environment. The graph spiked upwards from there. In his first full season, with a batch of good, solid recruits added – and after an uncertain start – Leeds went top of the league and hardly faltered until promotion and the Championship were clinched on a sunny day in Bournemouth. A season of high achievement followed as Leeds swiftly found their feet back in the top flight after an eight year absence. United did far more than consolidate, battling away at the top end to finish an eminently respectable fourth, as well as reaching two domestic semi-finals. The following season was the last of the old-style Football League, and Wilko’s Leeds achieved immortality by winning the Title by four clear points to become the Last Champions. Less than four years after joining a club going nowhere but downhill, Howard Wilkinson had restored Leeds United to the very pinnacle of the game. It had taken Don Revie twice as long to win his first League Title. While all this had been going on, Howard and his staff had been overseeing the development of an Academy setup which would go on to produce many stars towards the end of the century; many players who are still flourishing at the top level had their start in what was rightly famed as a world-class breeding ground for football talent. One of the main regrets of the Wilkinson era at Leeds is that he did not survive long enough in the job to introduce these home-grown prodigies into the first team himself. But Wilko’s later years at Leeds coincided with boardroom uncertainty and financial mismanagement, both of which had their effect on sales and recruitment policy. So, we lost a Speed here and a Batty there and the likes of Carlton Palmer and Nigel Worthington came in; the club was reduced to offering pre-retirement homes to such as Ian Rush and David O’Leary. O’Leary it was, after a George Graham interregnum, who gained the most from Wilkinson’s enlightened youth development programme. Looking back, it’s clear that things could have worked out differently – quite probably the seeds of our 21st Century disaster were sown in Wilko’s 1996 sacking. Howard Wilkinson stands alone behind Don Revie as Leeds United’s second-greatest manager, and probably as one of the more wronged men to have lost his job when so much of it had already been done to ensure the club’s own crop of major stars. As before, Leeds lacked the courage and patience to see it through; but these things are always clearer with the benefit of 20:20 hindsight. Happy Birthday, Sergeant Wilko – you’ll always be remembered fondly at Elland Road, and your place in the history of English football is secure. In 1995, Leeds United were ‘The Team That Broke the Hearts in Monte Carlo’, courtesy of an unanswered hat-trick from the mighty Anthony Yeboah, striker extraordinaire. United cruised to a 3-0 win at the Stade Louis II, home of AS Monaco – and nothing like that has happened to the Ligue 1 giants again in the almost two decades since. But on Tuesday evening, a massively dominant Arsenal side came so agonisingly close to emulating Wilko’s Warriors and creating history for their club with the biggest Champions League comeback since Leeds themselves recovered from 3-0 down to VfB Stuttgart. Back in those carefree, pre-meltdown days, Leeds United – three years or so after becoming The Last Champions – still had comfortably enough shots in their locker to give most teams a pretty tough time. A Yeboah-inspired blistering start to that season provided no hint of a clue as to the disappointment that lay ahead, with a pallid Wembley League Cup Final surrender to Aston Villa – where the seeds of Sergeant Wilko’s demise were sown. But in this early season purple patch, United were laying about them to devastating effect, with Masterblaster Yeboah scoring goal after rocket goal. Tony scored more goals of the season in that two or three months than most strikers could dream of in a career. The assortment against the hapless Monégasques included his usual worldy, sandwiched between two more mortal efforts. That second goal was so typically Tony, instant control in the inside right channel, a sinuous turn past his marker as he progressed to the edge of the area, and a wonderful, curling finish at pace into the far top rigging. Sublime. Things looked really good for Leeds – and just around the corner lay the transfer coup of the year as world superstar Tomas Brolin signed for the Whites from Italian club Parma. Oh dear, oh dear, oh dear. Arsenal’s challenge on Tuesday night was precisely the emulation of that Leeds feat all but twenty years ago. The Gooners had to score three, or they were out of the Champions League – it was as simple as that. In the end, they fell just short – fatally damaged by a clueless performance in defeat at The Emirates – but they could take a lot of pride and encouragement from an utterly dominant return display that, in truth, should have seen the Pride of North London progress, against long, long odds. Little was lacking in a performance better even than the one that ejected Man U from the FA Cup days prior to this Riviera trip. Perhaps the weakest link on the night was Mesut Özil, as quite frankly he has been too often this season. A tendency towards misplacing final balls and running into instead of past defenders in one-on-one situations, may well have been the difference between narrow failure and spectacular success. Perhaps Özil can fill his boots in what remains of the Arse’s bid to retain the FA Cup. On this evidence, he owes his club and fans that much at least. The comparison between two European matches, twenty years apart, featuring my beloved Leeds and my much-admired Arsenal, reminds me that one of the young subs for Monaco that night in 1995 was a pre-Juventus youth by the name of Thierry Henry. He went on to do reasonably well for the Gooners and indeed played his part in the Premier League demise of Leeds by blasting several goals past us at Highbury in the early noughties. Henry’s loyalties were probably with Arsenal the other night in Monaco, as were the loyalties of this Leeds United fan, despite my love for and fond memories of the principality of Monaco. In the end, though, all of us who were hoping against hope for a Gunners recovery from that pallid home leg defeat, ended up disappointed – and yet thrilled by what had been a fantastic game with a real edge-of-the-seat climax to it. And – cold comfort though this would be to dedicated Arsenal fans – it was a match that revived memories of a golden night long ago when the Whites invaded France and prevailed through the sublime performance of a Ghanaian genius. It’s always futile to wish for the impossible – and anyway, while he lasted in England, he was ours – but how Arsenal could have done with Tony Yeboah, as he was in his prime, on Tuesday night. Still stuck in post-festive torpor and suffering with a heavy cold besides, I was watching “The Dam Busters” on Channel Five this afternoon, marvelling at the unaccustomed use of the “N-word” in reference to Guy Gibson’s dog, which rejoiced in a name even Nigel Farage would baulk at these days. Well, possibly. Much more to be marvelled at was the reckless bravery and absolute lack of fear among the aircrew charged with delivering the Barnes Wallis “bouncing bomb” against three dams in the industrial heartland of Nazi Germany, the Ruhr Valley. The mission was a significant success in terms of its objective, if not so much when judged by the number of lives lost. Over fifty men died as eight of the nineteen bombers failed to return. It felt like the weirdest of coincidences, then, that the first news I heard after the last strains of Eric Coates’ “Dam Busters March” faded away was of the death of Leslie Silver OBE, former chairman of Leeds United AFC and a past hero of Bomber Command, completing over forty ops in Europe and twenty in the Far East, where he was involved in dropping supplies into the infamous Changi gaol. Silver left the RAF at the age of 22 in 1947, having served four years during which he flew the full quota of 250 operational hours with four different squadrons. In 2013, he was awarded the Bomber Command Clasp at the age of 88. Clearly, no ordinary man was our Mr. Silver. Having served his country so auspiciously in wartime, he then set about creating the business empire that would eventually make his fortune as well as contributing in large measure to the revival of a moribund late-eighties Leeds United. As a highly successful businessman in his fifties, Silver had been awarded the OBE in 1982, a year after joining the United board and a year before becoming Chairman, a position he held until 1996. Leslie Silver’s time as Chairman at Leeds United encompassed the second most successful period in the club’s history, overseeing a rise from poverty at the foot of Division Two, with a disastrous relegation into the lower reaches of the league beckoning, to top-flight promotion, European campaigns and, of course, the immortal title of the Last Champions. Leeds took that final honour by four clear points in 1992, just before the restructuring of English football on a “greed is good, might is right” basis before the altar of satellite TV. It goes without saying that Silver’s wealth, his business acumen and his vision were driving forces behind the meteoric rise of Leeds in the late eighties and early nineties. The amazing surge to success was even more abrupt and stunning than that of Don Revie’s white machine a quarter of a century before. Chief Silver and his chosen NCO, Sergeant Howard Wilkinson, plotted a path from the basement of the second tier right up to the ultimate prize in just under four years; it took Revie and Alderman Percy Woodward half as long again to make a comparable journey in the sixties. That Silver had the vision to identify and recruit his man, and then the courage and grit to back him financially, is something for which all Leeds fans should be forever grateful. He embellished our history with a second era of glory by his astute choice of manager and his unswerving loyalty and commitment to the Wilko plan. When Silver stepped down, it was the end of sustainable success for Leeds; beyond lay only “living the dream” and the subsequent nightmare we’re all too painfully aware of today. Leslie Silver deserves to be remembered as a major, pivotal figure in the history of Leeds United, as well as, of course, one of those long-ago heroes from the dark days of global war seven decades back. In later life, he also became the first Chancellor of Leeds Metropolitan University, these days known as Leeds Beckett University – and a faculty of that institution now bears his name. For an unassuming war hero who died with the world still riven by strife – and for the modest mastermind behind the renaissance of a sleeping football giant, who leaves us as that giant slumbers once again – the reminder of his contribution to learning in Leeds may yet be the tribute he’d have prized above all others. Leslie Silver, 1925 – 2014. Alav HaShalom. 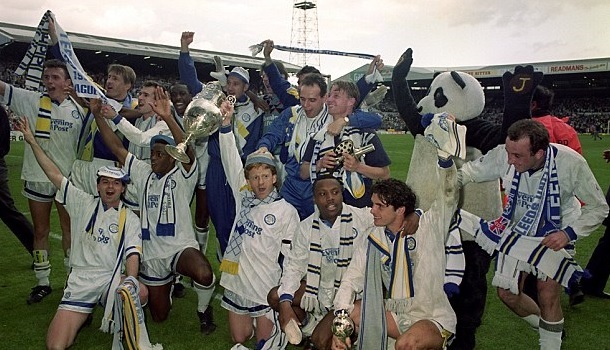 The idea of a “Memory Match” series of articles is hardly original, but it can be fun, particularly when the present doesn’t offer us much to shout about – and let’s face it, there are loads of games in the Leeds United back-catalogue well worth recalling, and savouring anew. Despite the encouraging win over Blackpool, it’s probably fair to say that this season is in danger of petering out, leaving us looking forward to a whole new campaign for our hopes of a fresh start post-Bates (who shall be known as President Irrelevant next season.) Things have been so dire at times, that the recollection even of a defeat can be preferable to gloomily contemplating our current prospects – as long as that defeat was a really special one, with gloriously redeeming aspects to it. Such a match, such a defeat, was the home game with Liverpool in front of a 31460 crowd during our first Sergeant Wilko-flavoured top-flight season of 1990-91. It had been a good season – we were nicely established back at the right end of the top table. We’d had some tasty results and the name of Leeds United was well and truly back on the agenda, despite the slightly grudging attitude of the southern-based media. I’d been anticipating the Liverpool game above most others. There was that satisfying all-White versus all-Red thing, against the green backdrop of the turf, which appealed to the eye of the beholder. But also, I had a real problem with Liverpool FC. They’d been the opposition in my first ever game at Elland Road, a traditional 3 pm Saturday kick-off in April 1975. I’d gone into the ground with my Dad and brother, all wide-eyed and expectant, and Elland Road blew me away, so much more vivid than it had ever been on the telly. I knew straight away that this was love, and that it would be for life. Then Liverpool callously spoiled my debut, beating us 2-0. The following season, they did it again, 3-0 this time. I didn’t even see us score against the Reds until Daisy McNiven’s late equaliser in 1977. By the time we got relegated, in 1982, it had got to the point where I expected nothing but a hiding from Liverpool games, and that’s invariably what I got. I hated Liverpool. So, in that first post-promotion season, when we’d looked like a seriously top team again, I was all vengeful and ready for the Reds, who had recently been stunned by the resignation of Manager Kenny Dalglish, and I trusted the lads to be at least as committed as I was. And to be fair, they did look right at it, early on. Carl Shutt burst through down the right to sting the hands of their ‘keeper. Mel Sterland planted a free header wide from around the penalty spot, wee Gordon Strachan was buzzing about to good effect in midfield, Leeds were playing well. Then, the sky fell in. 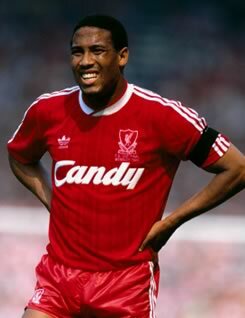 John Barnes, Liverpool’s lithe, lissom winger, chose that day to really turn it on – just as we’d all wished he would for England ever since his legendary goal against Brazil in the Maracanã – but his virtuosity for his club on this day was bad news for Leeds United. First, he dinked a dipping ball to the far post at the Kop End, and the roof of our net billowed as Ray Houghton finished. Next, he was involved in the award of a clear penalty, struck past John Lukic with power and precision by Liverpool’s wardrobe-shaped Danish scouser, Jan Molby. Leeds had been well in the game, but Liverpool had carved out and taken their chances, and my familiar Red nightmare was playing itself out yet again. Now, David Speedie – that unlikeliest of Liverpool players for their era of success – forced himself in on the act, first having a goal disallowed, then scoring at the far post after more good work from Barnes on the left. Leeds were ragged and despondent, and it was no surprise when Barnes again, after a nifty one-two near the halfway line, scorched clear to clip a fourth past a helpless Lukic, and leave me sitting drained and woeful on the terrace steps throughout half-time, head in hands, despairing at the four goal gap and fearing what might yet be to come. I’m sure too that this was the first time I ever heard Monty Python’s “Always Look on the Bright Side of Life” played over the tannoy – and taken up by a stunned home crowd who were even yet able to indulge in a bit of gallows humour. When the second half started, I saw the Liverpool reserve ‘keeper Mike Hooper running towards us. Hooper had been standing in for a few games for the regular No. 1, Bruce Grobbelaar, and I was more than a little disappointed. I’d had this recurring wish-fulfilment dream about sneaking down off the Kop while play was up the other end and, with a hitherto concealed pair of scissors, neatly snipping off Bruce’s annoying little pony-tail. It was probably just as well that temptation had been moved out of my way, but I doubt I’d have really done it – ex-guerrilla Grobbelaar would have killed me anyway, and I’d most likely have got arrested, too. Hooper was under pressure immediately, as Leeds had rediscovered their vim, and forced Liverpool back. The breakthrough came when the keeper could only push out a scuffed Gary MacAllister shot, and Lee Chapman was there to bundle the ball unconvincingly home off the crossbar. Then Chappers challenged for a high ball at the near post, and in it went – only for the ref to disallow it, his dismissive reaction to Chapman’s protests further enraging the hyped-up hordes on the Gelderd End. Hopes revived though as the ball sailed over a clearly-fouled Chapman from the left and landed in the area at the feet of Shutt, who swivelled to score competently. 2-4 now, and maybe an unlikely comeback was in the offing. But almost immediately, Ian Rush mugged Chris Whyte just outside our box, and back heeled into the path of Barnes who took it on and scored a brilliant fifth, to renewed home despair. Leeds seemed to know that they had to hit back hard and swiftly, and the best goal of the game arrived when Dave Batty struck a wonderful bending, scything cross from deep on the right, and Chapman hurtled through mid-air to meet it with a bullet-header, beating the startled Hooper all ends up. Two behind now, and Liverpool looked as if they were just holding on, the pressure from a stoked-up Leeds incessant. The match had become a breathless spectacle, surreal in its ebb and flow, more like some sort of high-class park game than your archetypal tight, defensively-sound First Division grapple. Leeds seemed always on the brink of total annihilation, and yet Liverpool, seasoned top-league campaigners, couldn’t quite manage to shake off these upstart newcomers, who kept on snapping relentlessly at their coat-tails like eager pups. Strachan typified the defiance and endeavour, popping up everywhere, probing and passing. Now he received the ball on the right corner of the Liverpool penalty area, and set off on one of those scampering little runs where he didn’t so much beat defenders for pace, as manoeuvre adroitly around them, like some pesky little tug in among ponderous oil-tankers. He did this now, beating two or three Liverpool defenders inside a few square yards, and then clipping a delightful ball to the far post, where Chapman towered to complete his hat-trick, the arrears reduced to one. And that, gentle reader, is as good as it got. Try though they might, the gallant battlers in white could force no further concessions from a Liverpool team who had looked like running away with the game at half-time, but who were virtually on their knees by the final whistle. It was a defeat – glorious, inspiring even, but bringing with it the zero points haul of any other defeat. On the day though, the crowd weren’t counting league table points, and the buzz as the throng left the stadium was of a fantastic comeback against a top, top team – pride was in the air, loud and throaty and no-one was bemoaning the loss. As one person loudly declaimed emerging, from the Kop exit, “we gave ‘em a four goal start, then hammered ‘em 4-1!” Well, quite. It had been, by far, my best-ever Liverpool game, better even than the last-gasp draw we’d salvaged in 1977. It also told us all we needed to know about the battling qualities of Wilko’s Leeds United; an injection of quality the following year would garner the Champion’s crown for us, and also along the way, my long-awaited first victory over the Anfield Reds. For that, the wait would prove worthwhile. But on this April day in 1991, those of us who had suffered through the wilderness years could see promising signs, even in defeat. United were most decidedly back. Next: Memory Match No. 2: January 1992 – Sheffield Wednesday 1, Leeds United 6. Tune in for another Chappers hat-trick, and “The Worst Dive Ever”.